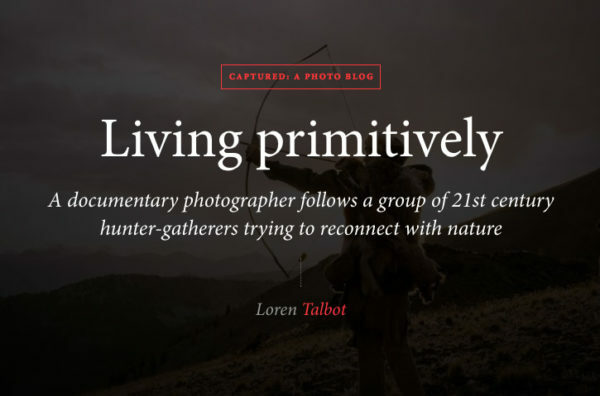 His documentary work reveals the interdependent nature required of those who want to live,not just survive, in the wild. The frankness of the portraits, against black backgrounds, offer an up-close look at the serious, often weathered, faces of those trying to dedicate themselves to the land. Writer Loren Talbot of The Week interviews me and takes a deep dive into my project, Living Wild. She lifts the curtain off what it takes to live with people in the wilderness without modern conveniences, and looks into what brought me there in the first place.